Where, to the power of when. Know where your vehicles are and what they are doing every 30 seconds. GPS fleet tracking for small to mid-size businesses. Trackox is an Mobile Field Force Management Solution that helps manage your field operations in real-time. 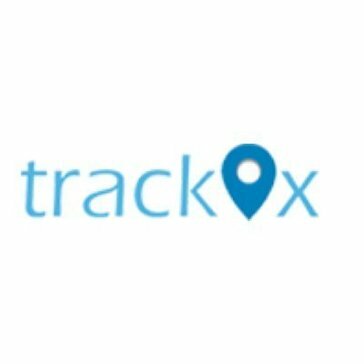 Trackox provides visibility from the Road to the Board with features like jobs & scheduling, location & tracking, forms and more. Trackstar is a CRM tool developed specifically for sales departments in car dealerships. Track & Trace solution allows having a glance where your vehicles, machines, and employees are located. This allows you to quickly and correctly plan an intervention. You can follow up all activities of people, fleet, rolling stock and materials on a single platform. Trackwell offers Electronic Driver Log on Windows 10 for any new or old Windows 10 device. TerraMar Networks is a leading global provider of GPS vehicle and fleet tracking and GPS asset management solutions. TrakWise solutions support the evolving organisational requirements of fleet and asset management that needs to track performance and utilisation, reduce operating costs, and ensure safe operating practices. Smartrak's TrakWise Fleet Servicing module helps you reduce the amount of manual administration and cross-checking. Trakzee Fleet Management Software Trakzee, the best fleet management software that is compatible with all types of vehicle tracking devices. TRAMPAS is a logistics software that supports transportation processes scheduling in technology, flexibility and range of functions. Transfly is a logistics management software that integrates your complex business process into a single, highly streamlined ecosystem and gives you visibility and control over your freight movements, performance and costs to rapidly deliver you savings. Transfly sets the standard for leading edge, logistics management system and provides businesses with actionable insights to help you stay ahead of your competitors. TransTrack is a Transport Management System that gives businesses increased visibility over their logistics process by automating transport operations on a real-time basis for better management. Traversa is a comprehensive program which includes functionality for routing, fleet maintenance, activity trips, along with many other functions all built from the beginning as one system. TruckingOffice is a web based trucking management software used to run your trucking business. Our easy-to-use trucking business software will save record for dispatches, invoices, expenses, maintenance, and maintenance plans. TruckTrack is a web Truck Tracking Solution that provides real-time GPS Tracking, effective Truck Fleet Management & Transport Documentation. TruckWin is a trucking management system with integrated dispatch and accounting to help manage pending loads, maintenance, driver advances, and more. TrustTrack is a real-time GPS tracking platform for fleet management. TSENSE is a fuel management software that provides a tight bond between the vehicle, the flow of fuel, and the account, which puts the user in control of their fuel. 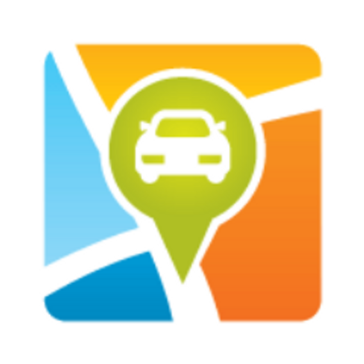 Uboro is a GPS tracking software for fleet owners, general managers, logisticians or private entities. Valomnia Solution optimizes Sales and helps its users keep control over their distribution channels through Cloud and Mobile Technologies. 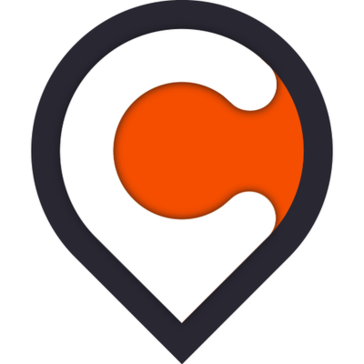 VAMOSYS is an advanced GPS based vehicle rracking platform. Vehicle Maintenance System is a fleet maintenance software that provides defect reporting, statutory inspection planning, scheduled and unscheduled maintenance activity management, job cards, history recording and workshop control. VMS streamlines the whole process and helps ensure records always meet the required standard. Vehicle Manager is a fleet maintenance software that does a disciplined approach to service and maintenance to keep vehicles or equipments in top condition and maintain it's resale value. VehicleManagerOnline is a online Fleet Management system which allows you to minimise costs, optimise performance and effectively manage from one to many thousands of vehicles. Our Premium GPS Vehicle Tracking Software is feature rich and with a modern look and feel is easy to navigate. Inspect vehicle movements, produce reports, view vehicles live 24/7 and much more. Courier Software starting at $50 per month! This easy-to-use, complete package has been used by couriers, freight forwarders, distributors, and truckers since 1986. Web enabled tracking and order entry, driver manifests. Integrates with QuickBooks. Customizable to meet your needs. Free 30 day trial available. BSMs trusted end-to-end solution is highly configurable and provides you with a one platform solution to monitor all of your fixed and mobile assets in real-time. Access data when and where you need it and receive actionable insights through our advanced data-analytics tools. Whip Around is a mobile inspection platform designed to help transport businesses perform driver vehicle inspection reports quickly. WIMO last mile delivery management system. Help businesses to make their delivery process hassle-free by keeping an eye on the whole system with just a few clicks. WorldFleetLog is EDT's Web-based management application to display and manage data compiled from EDTs fuel and fleet management products. Xtrack GPS Platform is a platform that supports effective management of vehicles, GPS monitoring, control of operating parameters of the vehicle and warnings. YardMaster Truck is a one-stop software solution that supports all trucking operations. Introducing YardTrac Pro, the next generation cloud-based yard management software (YMS) by Exotrac. YardTrac Pro provides real-time trailer pool data, asset visibility and process management tools for manufacturing plants, proprietary and third-party distribution centers, storage yards and truckload carriers. Yojee best-in-class logistics software utilises blockchain, Artificial Intelligence (AI) and Machine Learning to optimise and manage fleets. Yojee software is designed to optimise any business on an affordable monthly recurring fee model. YusoFleet is a global white-label platform for local on-demand urban transportation fleets (taxis, PHV, ambulances, last-mile delivery). ZLC program is the best way to automate all of your equipment maintenance operations and compliance in a single integrated easy-to-use system. Fleet management and vehicle tracking for business and family.